We were woken by our sleeping-car attendant at 6.30 a.m. with coffee and tea and arrived into Edinburgh about half-past seven. 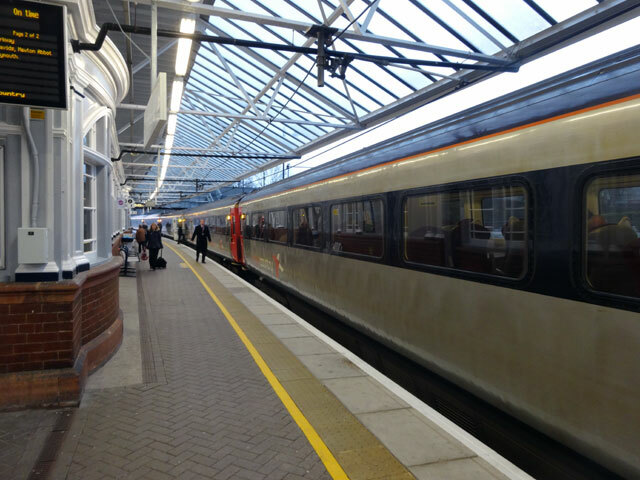 There was time to collect a paper to read on the next train before boarding the eight-ten to Berwick where we alighted, walked down to parade to collect the car and drove home via Tesco where we filled up with petrol. Everyone was well at home and Mix was especially pleased to see me. David arrived soon after we did and started work on the trailer for Olivebank. Tom also arrived to see how we were. We will meet up again tomorrow. In the afternoon one of my ministerial colleagues came to visit and I greatly enjoyed sharing experiences and swapping yarns. Soon it was time for supper when we all got together around the farmhouse table. In the evening there really wasn’t anything I wanted to watch on television and so I dozed until the News and Newsnight came on. I was anxious to watch these because today the new Scottish government had unveiled its plans for the coming year. I thought that they were moving in a good direction and I admire their emphasis on consensus. I wish them well.